You get all the models you see in the scans. 1 box open in the scan to show model is painted looks complete. MPC Mustang Cobra snake bite 1/25 scale model kit. Condition is Used. Shipped with USPS First Class Package. 1957 BUICK ROADMASTER COUPE 1:25 SCALE AMT DEALER PROMO MODEL. New and Complete. LOOK AT THE PHOTOS AND ASK QUESTIONS AS NECESSARY. SOLD AS IS - ALL SALES ARE FINAL - NO RETURNS - NO REFUNDS. IF YOU PURCHASE MULTIPLE ITEMS PLEASE WAIT FOR INVOICE WITH COMBINED SHIPPING BEFORE PAYING. BUYERS: LEAVE POSITIVE FEEDBACK AND POSITIVE FEEDBACK WILL BE LEFT FOR YOU. YOUR PURCHASE BENEFITS THE "SOUTH BAY HISTORICAL RAILROAD SOCIETY". THANKS FOR LOOKING! 1961 FORD THUNDERBIRD W/SWING AWAY STEERING WHEEL (see picture) 1:25 SCALE DEALER PROMO MODEL. New and Complete. LOOK AT THE PHOTOS AND ASK QUESTIONS AS NECESSARY. SOLD AS IS - ALL SALES ARE FINAL - NO RETURNS - NO REFUNDS. IF YOU PURCHASE MULTIPLE ITEMS PLEASE WAIT FOR INVOICE WITH COMBINED SHIPPING BEFORE PAYING. BUYERS: LEAVE POSITIVE FEEDBACK AND POSITIVE FEEDBACK WILL BE LEFT FOR YOU. YOUR PURCHASE BENEFITS THE "SOUTH BAY HISTORICAL RAILROAD SOCIETY". THANKS FOR LOOKING! 1957 CHEVROLET CAMEO 3200 TRUCK 1:25 SCALE AMT DEALER PROMO MODEL. New and Complete. LOOK AT THE PHOTOS AND ASK QUESTIONS AS NECESSARY. SOLD AS IS - ALL SALES ARE FINAL - NO RETURNS - NO REFUNDS. IF YOU PURCHASE MULTIPLE ITEMS PLEASE WAIT FOR INVOICE WITH COMBINED SHIPPING BEFORE PAYING. BUYERS: LEAVE POSITIVE FEEDBACK AND POSITIVE FEEDBACK WILL BE LEFT FOR YOU. YOUR PURCHASE BENEFITS THE "SOUTH BAY HISTORICAL RAILROAD SOCIETY". THANKS FOR LOOKING! 1959 MERCURY PARKLANE SEDAN 1:25 SCALE AMT DEALER PROMO MODEL. New and Complete. LOOK AT THE PHOTOS AND ASK QUESTIONS AS NECESSARY. SOLD AS IS - ALL SALES ARE FINAL - NO RETURNS - NO REFUNDS. IF YOU PURCHASE MULTIPLE ITEMS PLEASE WAIT FOR INVOICE WITH COMBINED SHIPPING BEFORE PAYING. BUYERS: LEAVE POSITIVE FEEDBACK AND POSITIVE FEEDBACK WILL BE LEFT FOR YOU. YOUR PURCHASE BENEFITS THE "SOUTH BAY HISTORICAL RAILROAD SOCIETY". THANKS FOR LOOKING! 1958 FORD THUNDERBIRD 1:25 SCALE AMT DEALER PROMO MODEL. New and Complete. LOOK AT THE PHOTOS AND ASK QUESTIONS AS NECESSARY. SOLD AS IS - ALL SALES ARE FINAL - NO RETURNS - NO REFUNDS. IF YOU PURCHASE MULTIPLE ITEMS PLEASE WAIT FOR INVOICE WITH COMBINED SHIPPING BEFORE PAYING. BUYERS: LEAVE POSITIVE FEEDBACK AND POSITIVE FEEDBACK WILL BE LEFT FOR YOU. YOUR PURCHASE BENEFITS THE "SOUTH BAY HISTORICAL RAILROAD SOCIETY". THANKS FOR LOOKING! New 1997 Dodge Viper GTS Promo Car . Condition is New. Shipped with USPS Priority Mail. 1959 BUICK INVICTA 1:25 SCALE DEALER PROMO MODEL. New and Complete. LOOK AT THE PHOTOS AND ASK QUESTIONS AS NECESSARY. SOLD AS IS - ALL SALES ARE FINAL - NO RETURNS - NO REFUNDS. IF YOU PURCHASE MULTIPLE ITEMS PLEASE WAIT FOR INVOICE WITH COMBINED SHIPPING BEFORE PAYING. BUYERS: LEAVE POSITIVE FEEDBACK AND POSITIVE FEEDBACK WILL BE LEFT FOR YOU. YOUR PURCHASE BENEFITS THE "SOUTH BAY HISTORICAL RAILROAD SOCIETY". THANKS FOR LOOKING! Village Chevrolet vintage dealership showroom 1/25 model cars custom-crafted! Inside back wall is a mirror which makes the interior look larger and allows better viewing of cars inside building.Painted interior & exterior walls & floor. "Cool Concrete" base surrounds exterior of building. 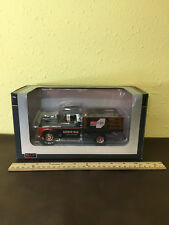 Kit was started and was made into a tow truck there are lots of parts in the box yet that were not put on the model looks like all is there sold as found. For sale this 2003 1:25 scale model by AMT featuring. MPC 1928 Gangbusters Lincoln sport touring by locke model kit 1/25 scale. kit number 200-200 older kit release date was 1983. Kit number # 2201 older kit realese date was 1970. Kit was started and parts that were not put on model are in a bag looks like all is there sold as found. Chevrolet Certified Service 4-bay model car dealership diorama /24 1/25 scale! I call this my "bookshelf" design because it fits on many bookshelf units. Height of diorama is about 9". Gatorboard walls and roof, Plexiglass windows/doors. Roof easily lifts off to allow access to diorama. Kit parts are in bag every thing looks like its there sold as found. Kit number # T460 older kit release date was 1975. Revell Alternomad caprice 1/25 scale model kit. kit is factory sealed. Decals are sold per 8-1/2” X 11” sheet with white background. There are 57 different images, with four copies of each image. All decals are approx. 1:25 scale (most are about 3/8” wide). Decals are full color and “water slide” type (not pressure-sensitive or die-cut). Kit parts are factory sealed. 1937 Ford Highway Scenes with Diorama Drive-In. Box and inside parts are open but everything is there. ORIGINAL TERRY ROSS SPEED FREAKS."MUST'TANG" ! AmericanMotors dealership showroom & service bay 1/24 1/25 model cars/trucks! RARE Dale Earnhardt #3 Chevrolet Racing Crew Cab Trailer Set 5000 Limited 25"
Dale Earnhardt's #3 Chevrolet Racing Crew Cab Dually and Trailer Set. Truck & Trailer is 25" long. This die cast set is precision-engineered. It's body and chassis are all die cast; features superior quality tampo-graphics; manufacturer-specific; premium quality paint; and lots more! Decals are sold per 8-1/2” X 11” sheet with white background. There are 48 different images, with four copies of each image. All decals are approx. 1:25 scale (most are about 3/8” wide). Decals are full color and “water slide” type (not pressure-sensitive or die-cut). 1966 Ford Fairlane GT 390 Promo Car. Lots of specs on bottom. Very good shape. Light marks and wear. Decals on pass. Side are gone half way down. Kit number # 6831 older kit release date was 1987. Up for sale, I have a 1:25 AMT, 1964 Chevy Impala SS built up model kit. I have listed about 55 different built up car models, and they are mainly 1:24 & 1:25 scale. The models are all 30 to 40 years old and produced by AMT, MPC, Jo-Han, Revell, or Monogram. Up for sale, I have a 1:25 AMT, 1973 Ford Mustang Mach 1 built up model kit. I have listed about 55 different built up car models, and they are mainly 1:24 & 1:25 scale. The models are all 30 to 40 years old and produced by AMT, MPC, Jo-Han, Revell, or Monogram. NO RESERVE! It is near MINT and never played with. - I will describe to the best of my ability each item with honesty. Was displayed in my display case, includes original box. Model cars & parts,semi parts,stack of decals,lot of instructions. these were in plastic bags with all the things you see in the scans. Kit parts are open looks to be complete sold as found. Kit parts are factory sealed kit. Up for sale, I have a 1:25 Revell, 1957 Chevy Bel Air built up model kit. I have listed about 55 different built up car models, and they are mainly 1:24 & 1:25 scale. The models are all 30 to 40 years old and produced by AMT, MPC, Jo-Han, Revell, or Monogram. 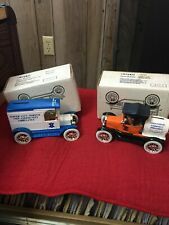 SpecCast diecast 1:25 model Farber Bag & Supply 1957 Chevy 78257 detailed NICE!